I was blessed to be hit with a double troubble being both Dyslexic and ADD. God does love me :)) ( have corrected normal typo's but no spelling, grammor or things spelled right to not be caught by spell check and words out of context) went through tough times. Can not believe the basics are still not implemented? We told my 8-year-old daughter recently that she has dyslexia. 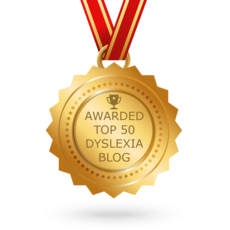 I used to be so mad at my dyslexia–so mad it controlled my life, so frustrated I wasn’t normal, so annoyed I couldn’t even order an ice cream without stammering. It took me awhile to figure this out, but my dyslexia isn’t a curse or a burden.